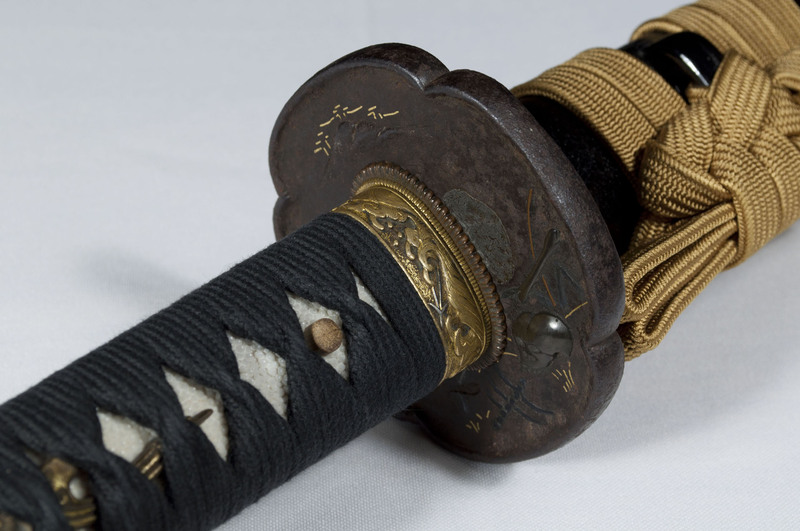 Big Katana signed Kofu Ju Minamoto Nobushige Zo, and dated Keio Gannen 8 gatuhi. Shinshinto period (1864), Musashi province. 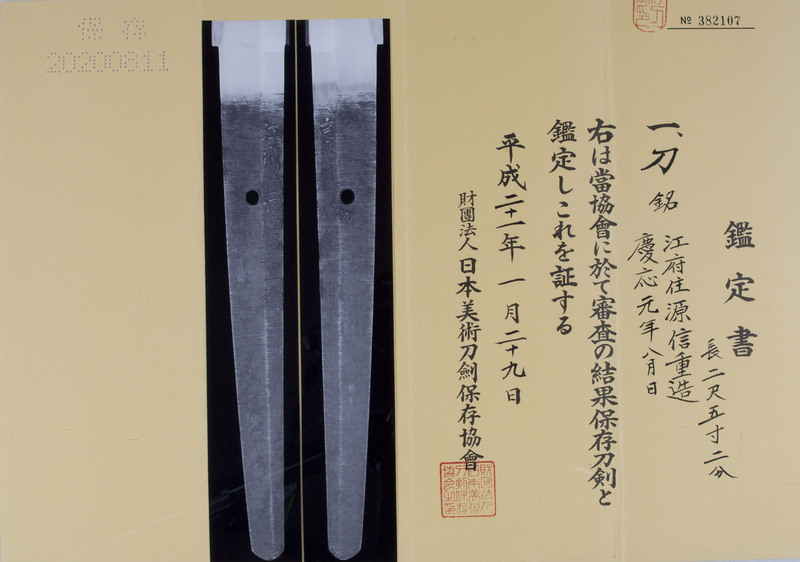 Nobushige was making swords under the Yushima Tenjin and he was probably influenced by the famous Suishinshi Masahide. 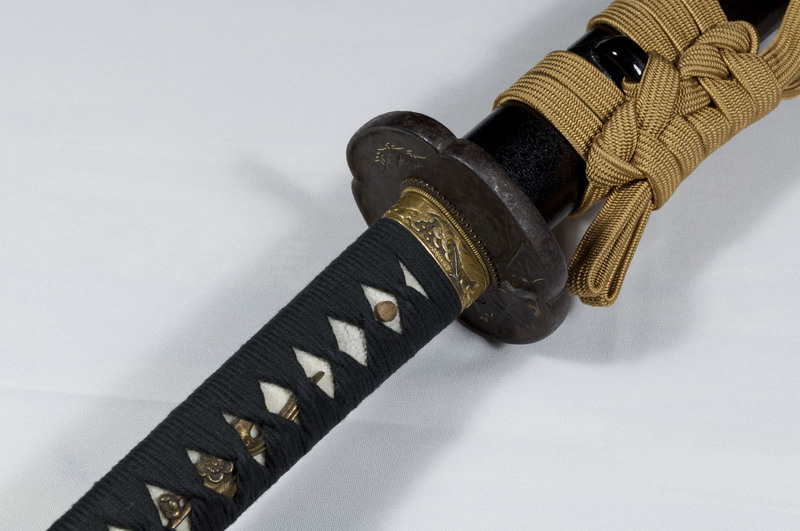 This Katana is big and massive, with a Niedeki Kogunome midare Hamon, and a ko itame mixed masame Hada with Ji nie. 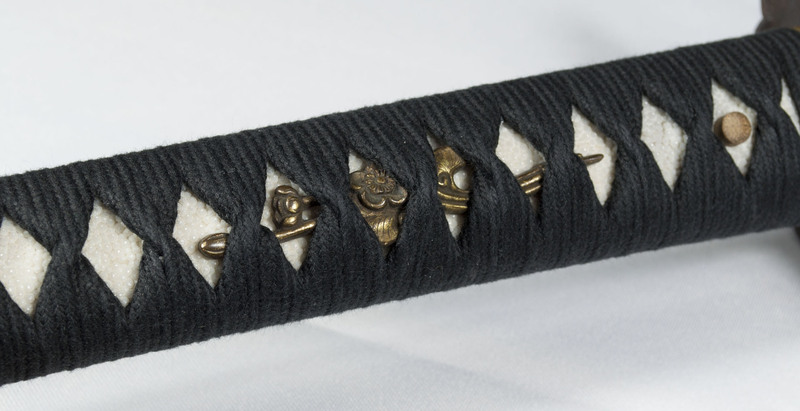 Japanese polishing in excellent condition. 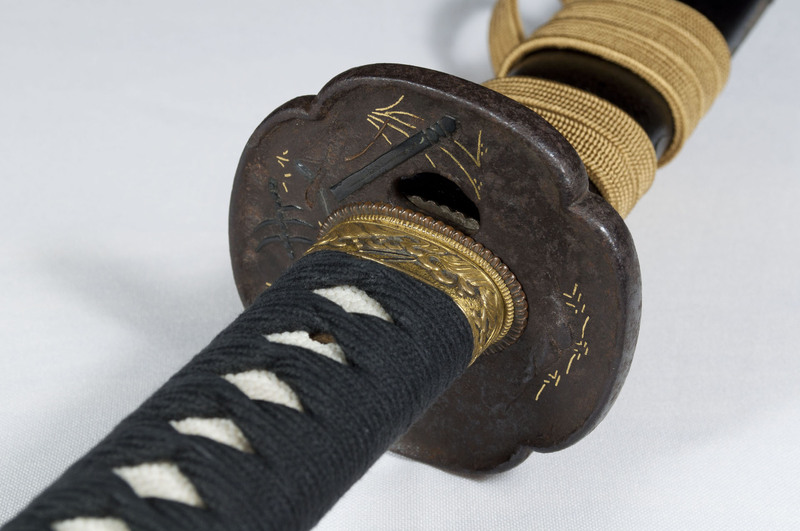 Sold with a Shirasaya and a complete Koshirae with two Saya, the original in good condition (despite missing a few pieces of lacquer on one side), and a modern japanese Saya in perfect condition.